E.B. White wrote, “Every morning I awake torn between a desire to save the world and an inclination to savor it. This makes it hard to plan the day." How do we choose between the two? Pamela Barz preaching. 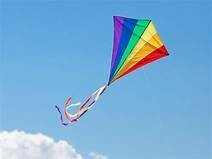 This is our 2 nd annual kite-flying day, and Donna Cogliano will offer a kite story for all ages. The choir will sing Flying Free . Mary Beaulieu and Charlie Ruddy will greet you. Meryl Pinette will provide flowers for the communion table, will be your usher. We are in need of coffee hours. Lauri writes about her sermon, "The trouble is that our minds tell us something different. I will offer some thoughts on how to handle this challenge of being human and explore the possibility of having a broader view which could enhance our ability to be at ease with ourselves." In addition to being a member of First Parish, Lauri is a psychotherapist and mindfulness instructor. She regularly guest preaches in other UU churches – we are happy to have her speaking in her home church today. The Choir will sing Siyahamba.. Lily Duff will offer flute music by Claude Bolling. The Howe family will greet you, and Julianna Dunn and Sarah Murdock will be your ushers. We are in need of a coffee hour host and flowers for the communion table. The children, youth, and teachers of our religious education program have been learning about religions of the world this year and will share with the congregation some of their insights. We will celebrate our graduating seniors Anna Svensen, Callie Moos, and Kenzi Boyle; bridge our 8 th graders into the high school youth group; and recognize the dedication of our teachers. The choir will sing Blessing. Julianna Dunn will usher. We are in need of greeters and hosts for coffee hour. This morning we will have a brief service followed by the conclusion of our annual meeting and our summer barbecue hosted by the Parish Committee and the Men’s Ministry. Choir members will introduce a new melody composed by David Dubuisson for our church covenant. The Howe family will host coffee hour. We are in need of greeters and someone to bring flowers. Our theme this summer is “Finding Meaning in….” Worship leaders include: Janie Culbert, Mary Beaulieu, Brian Sutton, Aynsley Forsythe, Lin Haire-Sargeant, Richard Kermond and Cathy Kang, and Elizabeth Dubuisson. If you are interested in leading a service or offering music for one, please speak with Pamela Barz or Jenn Mackey. Details will be in the July Sloop’s Log. With the welcome of eleven new members in May, the number of active adult members of our congregation has grown to 116. (In addition there are about 30 adults who are part of the congregation but for various reasons not formal members.) Of those 116, 42 of them, 36%, joined our church in the last 5 years. Another 12 of our currently active members joined in the 5 years before that, which means that of our active members, 47% - nearly half joined this congregation in the last 10 years. So if you have ever felt like you haven’t been here long enough to “be the church” get that out of your head. You are the church. We are the church together. And that “together” is an important word. Sometimes when churches experience growth as ours has, it can be hard for newcomers and long-time members to feel themselves united. It can be hard for people to get to know one another, to trust one another, and to invite those who came into the church at a different time to join them in the work of the church. It’s human nature to gravitate toward the people we know. But such separate groups aren’t found in true churches – and one of the things I have seen over and over in my five years of ministry with and among you is that this is a true church, not a social club. I have seen you reach out in different ways to help one another, to support one another, and to connect with one another. Perhaps that’s one of the reasons for the health and growth of this community. What do you think? Our year-long exploration of the religions of the world wraps up this month with the students and teachers in the RE program bringing highlights of what they’ve learned to our June 17 RE Sunday service. The Picture Book World Religions Pre-K/K group will share one of their favorite picture books with us for the story time. The World of New Friends grades 1-3 group will lead a prayer. The World of New Friends grades 4-5 group will do a skit. And the Building Bridges Junior High group will offer the opening words and chalice lighting. During the first two Sundays in June, the classes will work on their parts in the service. On Sunday June 3 they may also make kites for the kite-flying that day. During the RE Sunday service, we will thank the all the teachers this year. Our program could not happen without the contributions of so many. On a date still to be set, Kate Glennon and I will be hosting a “Debrief and Dessert” for all the teachers as a thank you and a way to talk about what worked and what could be strengthened for when the World Religions year comes around again. Next year we will offer Our Whole Lives (OWL), the UUA and UCC program on faith and sexuality, to the 7 th-9 th graders. Joe Glennon and Jenn Mackey, both certified to lead OWL for this age group, will be the facilitators. On Sunday June 3 at 4 p.m. they will offer an information session to familiarize parents with the course and the materials. Parents are encouraged to attend and to register their youth – the class is filling up. If you are the parent of a rising 7 th-9 th grader and did not receive information on the program, please let me know. Next year’s 8 th and 9 th graders will also have the opportunity to participate in Coming of Age next year on Sunday mornings. Information will be coming out soon on that. Mark Matthews and I went to an all-day music workshop for small choirs at the beautiful Haverhill UU church. There were 160 singers present, from 40 different UU New England congregations. Jason Shelton taught us his 8 new anthems composed for small choirs that encompass the UU church year. We look forward to singing all of them next year! Thank you to Riley and Zack Nidositko, and David Sutton for playing such beautiful patriotic music for our Memorial Day service. June 3rd: The choir will sing Flying Free by Don Besig. June 10th: The choir will sing one of our favorites, Siyahamba. “We are Marching in the Light of God”. Lily Duff will offer flute music by Claude Bolling. June 17th : The choir will sing Blessing by Donna Hebert. 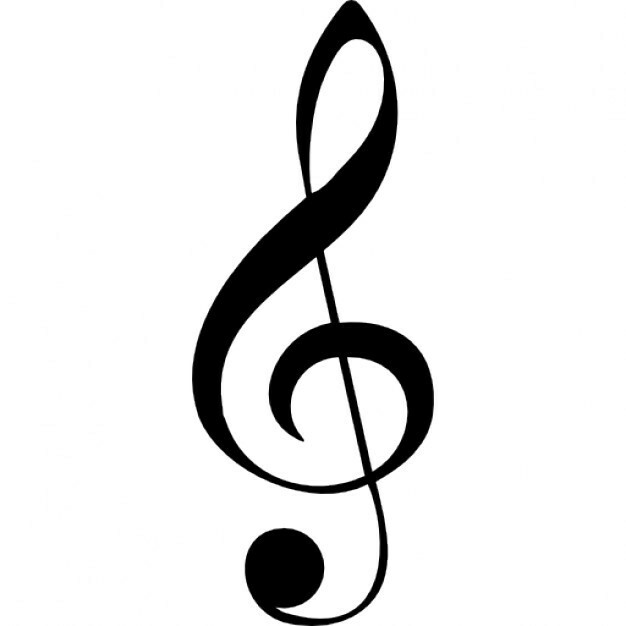 June 25th: Choir members will introduce a new melody composed by David Dubuisson for our church covenant. Annual Meeting Reconvenes June 24, 2018! On Thursday, June 7th, the 2017-2018 Annual Report will be posted to the website. After the service on Sunday, June 10th, members of the Parish and Finance Committees will be available to discuss the 2017-2018 Annual Report and answer any questions. Hard copies of the report will be available at the church. On Sunday May 20, we welcomed 11 new members into our congregation. Below is some information to help us all get to know one another. Please look for connections and start a conversation! Cathy Kang and Richard Kermond are both retired Coast Guard officers. Richard's encore career is teaching high school history and economics; Cathy is pursuing an encore in music therapy. They have two children, Noah and Grace, and the entire family is grateful to be a part of such an enlightened and loving community at First Parish UU. Aynsley Forsythe and Adam Tufankjian joined First Parish to give their children an exposure to social justice issues and opportunities to do service in the community. Aynsley and Adam re-settled in New England 9 years ago after spending some time in NYC and then living in various cities throughout the country as travel nurses. Aynsley now splits her time between working as a nurse in Boston and raising their two kids Owen and June. She is also a reiki master and meditation and yoga enthusiast. Adam continues to be an avid outdoorsman and enjoys fostering that love in his kids. He now works as a home IV nurse for children and some adults. Look for the Tufankjian family working together in their garden or biking around town. I have attended this church since meeting my wife Alma 11 years ago. I have felt accepted as a member of first Parrish UU church for the entire time, even though I had not signed the book. Thought it was time to sign the book because I like seeing all the activity and energy and excitement a strong, busy, happy congregation is a wonderful thing to be a part of. I have some Professional experience with facilities management and volunteered at another church. I plan to continue helping out in any facilities areas where I am needed. I am really excited that the high school students get band playing experience in our coffee houses well as in some services. They are great. Mary Beaulieu and Charlie Ruddy bought a house together on Rebecca Road in December 2016; Mary moving from Wakefield and Charlie relocating here in Scituate. They have been together since 2014 when they met at a dinner party. Both grew up in Massachusetts, although they have each lived in a variety of other places. Each Mary and Charlie has 2 adult children who live in Raleigh, Chicago, and Madison, Wisconsin. They chose Rebecca Road because of their shared love of the ocean. They chose First Parish as their spiritual home because its covenant, values and members reflect the best of what Mary and Charlie believe they can be as individuals, as a couple, and as servants to the world. Kim: I was raised in Upstate NY and moved to Scituate in 1997 after I married my husband, Damian to be closer to the ocean and friends. We are raising 4 children who attend South Shore Charter Public School in Norwell. I am the lead abdominal transplant nurse coordinator at MGH. Some of the joys in my life are my family, the beach, flower gardening, knitting, playing board and card games, and commuting from Boston by boat. I am thrilled to have found a church that I feel connected to emotionally, spiritually and morally and look forward to making connections with like-minded parishioners. Damian: I am a homemaker/ girls varsity basketball coach. I enjoy fishing and vegetable gardening. I love going to the beach with my family. 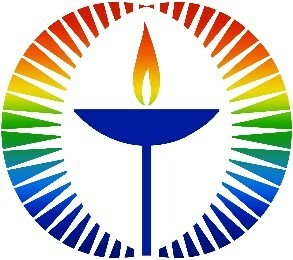 I am excited to join First Parish UU to fulfill the spirituality that was lacking in my previous religious affiliation. Molly is a 17 year-old junior, resident of Scituate, who attends South Shore Charter Public School. She is captain of her varsity soccer, basketball, and softball teams. She works part time as a production assistant for a local wood jewelry business. She is thinking of studying fashion design and/or social work in college next year. She is excited to join First Parish UU because she would like to grow closer to her family spiritually. The Spring Church Sale is this Saturday! If it’s good weather everything (except for the Café) will be on the front lawn. If it rains, the bake table and craft table will move indoors to the Sloop Room, with Yard Sale and Plant Sale remaining on the front lawn. Please tell your friends about our Spring Church Sale , and come yourself to buy goodies and lovely things! 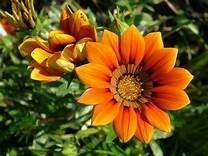 Plant Sale: During the week, plants can be left outdoors, at the back of the church behind the sanctuary. Be sure to label what they are, and to water them before you leave them! Saturday morning, 8 to 8:30 you can leave them in the Plant Area on the front lawn. Bake table. You can continue baking till the last moments - pies, cookies, brownies, squares, muffins, cupcakes, etc. Label everything and drop off in the vestibule Friday, 5-7 p.m., or Saturday, on the Bake Table, 8-8:30 a.m..
Yard sale: Please email Ray Des Roches if you are bringing things, to let him know how much table space you will need. Bring your own cash to make change. Please do not bring yard sale items until Saturday 8 – 8:30 a.m.
Springtime in Paris Cafe: Bring your appetite and be inspired to enjoy the Sloop Room as Springtime in Paris. Please dispose of plants, branches, twigs in our compost bin and not in the trash containers. The bins are located on a lovely path through the Memorial Garden. Congratulations to our graduates: Remy Lovell and Jack Duff both from U Mass Amherst!... Jo Murphy, who has preached for us several times, will be ordained to ministry among the congregations of the Unitarian Universalist Association by the First Parish of Framingham on Saturday June 16 at 3 p.m. If you would like to attend, please let Pamela Barz know. Thank UUs: to Mark Matthews and Frank Kilduff for their work on the back door… to Jean Shildneck and Alma Morrison for their care for the flowers on our grounds… to the Spring Fair Team: Jean Shildneck, Meg Moncy, Roxanne Greim, Alma Morrison, Donna Brindley, Ray Des Roches, Kate Glennon, Cathie McGowan, Erica Boyle, Ruth Kuhn, Vicki Davis, and Claire Sherman… to Chuck Jones for making the poppies for our Memorial Day service…. to Liam Glennon, Ruth Kuhn, Wendy Wierzbowski, Alan Donaldson, Oliver Jones, Miles Jones, Chuck Jones, and Pamela Barz for working at the Food Pantry on the day of the Post Office Food Drive. To April Ushers: Julianna Dunn, Jean Shildneck, Laura Carson-Laciner, Lin Haire-Sargeant, Bob Murdock, and Carol Sullivan-Hanley ;… April Greeters: Emilia Dziedzic, Carol Sullivan-Hanley, and Donna Cogliano; … and April Coffee Hour Hosts: Doug and Jen McGonagle Dziedzic, for taking on these ministries of hospitality. Please consider signing up yourself for one of these ministries this month. We are collecting food at church to deliver to the food pantry at the end of the month. On Sunday June 3 we are asking for condiments (ketchup, mayonnaise, mustard) . On Saturday June 2, the Men’s Ministry will work on setting up for the Spring Fair at the church. Since set-up is at 8 a.m., they will not gather for breakfast this month. All men and boys in the congregation are welcome.